Researchers have discovered that tantalum carbide and hafnium carbide materials can withstand scorching temperatures of nearly 4000 degrees Celsius. Being able to withstand temperatures of nearly 4000°C could pave the way for both materials to be used in ever more extreme environments, such as in heat resistant shielding for the next generation of hypersonic space vehicles. TaC, HfC and their solid solutions are promising candidate materials for thermal protection structures in hypersonic vehicles because of their very high melting temperatures (over 4000 K) among other properties. The melting temperatures of slightly hypostoichiometric TaC, HfC and three solid solution compositions (Ta1−xHfxC, with x = 0.8, 0.5 and 0.2) have long been identified as the highest known. In the current research, they were reassessed, for the first time in the last fifty years, using a laser heating technique. They were found to melt in the range of 4041–4232 K, with HfC having the highest and TaC the lowest. Spectral radiance of the hot samples was measured in situ, showing that the optical emissivity of these compounds plays a fundamental role in their heat balance. Independently, the results show that the melting point for HfC0.98, (4232 ± 84) K, is the highest recorded for any compound studied until now. Dr Omar Cedillos-Barraza, who is currently an Associate Professor at the University of Texas – El Paso, carried out the study while doing his PhD at Imperial’s Department of Materials. The design of next generation hypersonic flight vehicles has raised interest in the discovery and development of materials that can operate in extreme environments. 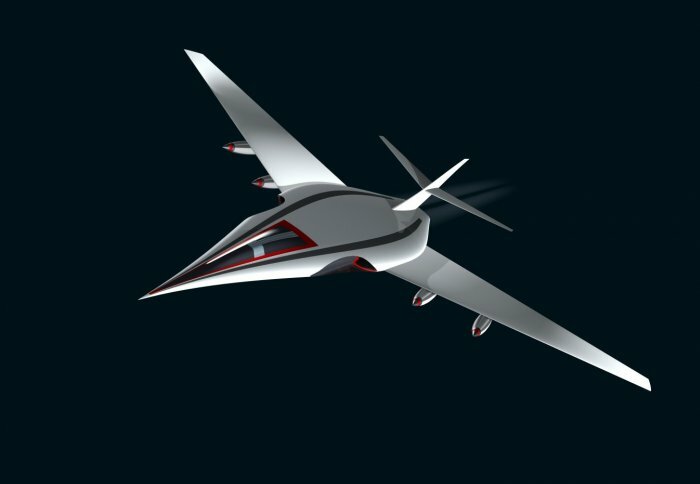 Hypersonic vehicles are equipped with sharp nose tips and leading edges to maximize flight performance. However, very high temperatures and heating rates are produced at these surfaces due to extreme velocities (over 5 Mach). Thermal protection structures are required that can operate in air at temperatures that can exceed 2200 K, thus components are required to have very high melting temperatures1,2. The extreme conditions required for hypersonic applications have introduced the motivation for research and development of high temperature materials, including a group of ceramics commonly known as ultra-high temperature ceramics (UHTCs). A common definition of a UHTC is that of a ceramic that has a melting temperature above 3300 K. From a wide selection of materials that an engineer can choose only a limited number have melting temperatures above this criterion3. Tantalum carbide (TaC) and hafnium carbide (HfC) are of particular interest due to their high melting temperatures (over 4000 K) which are the highest reported among all known inorganic materials. They are known to form a continuous solid solution over the whole range of compositions. Laser heating experiment consisted of four consecutive laser pulses, starting with a low-power pulse held for a long hold time (typically 1000 ms), and then the power of the subsequent pulses were increased but shortened in hold time (typically few hundreds ms). The pre-heating stage and the successive pulses were conceived to minimise thermal stresses and the risk of mechanical failure of the samples. The results from this work show that HfC0.98 has the highest melting point in the TaC-HfC system at (4232 ± 84) K, which make it the highest melting point compound, since the melting temperature of TaC was experimentally found to be lower than HfC in this work. In mixed compositions, a local maximum melting temperature was observed for the Ta0.8Hf0.2C, in agreement with previous research. Nevertheless, the current melting temperature of HfC0.98 remains the highest of the series. The presence of a local maximum melting temperature for mixed Hf-Ta carbides has been shown to be accompanied by a spectral emissivity effect, consistent with the existence, recently proposed by Hong and van de Walle9, of a link between the melting behavior and the Fermi level position in this kind of compounds. This should boost further experimental research on Ta-Hf-C-N compositions that might display even higher melting temperatures than those assessed for the ternary Ta-Hf-C system, in line with Hong and van de Walle’s theoretical predictions.